Think going green with your baby’s nursery is complicated? In reality, it’s all about simplicity, and making the right choices that are both healthy for your baby, and help protect the planet. 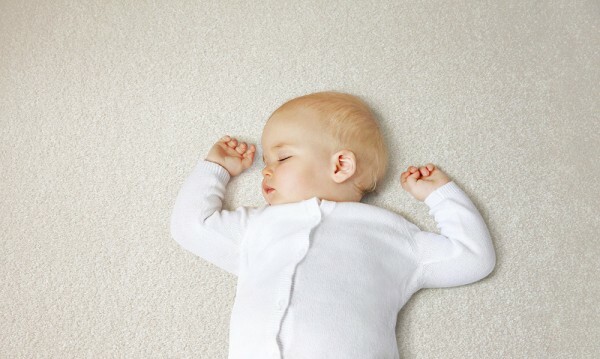 Here are our top tips for making your baby’s space an enviro-friendly haven – from safe paint to carpet made from corn! From the top down, there are so many ways to make your baby’s nursery exquisite while making little impact on the environment. It means a healthy haven for your bub, and minimal impact on the Earth. What’s more, many of these options will mean a great space for children who suffer from allergies. One of the biggest decisions you’ll make when deciding on a theme for your baby’s nursery is how to treat the walls – paint or wallpaper? 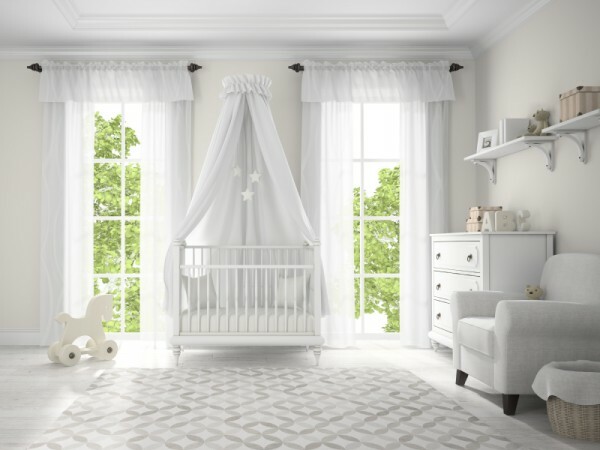 Regardless of your style, there are eco-friendly options that will allow the space to be gentle on your newborn baby as well as the environment. Go for a low-VOC or zero-VOC paint. This kind of paint releases less solvents (or none at all!) into the air as the room is painted. There are also options for eco-friendly wallpaper. They’re created using recycled materials, and with fewer chemicals (that includes the glue) or vinyl coatings. You could also go for a natural option, like on-trend grass-cloth. 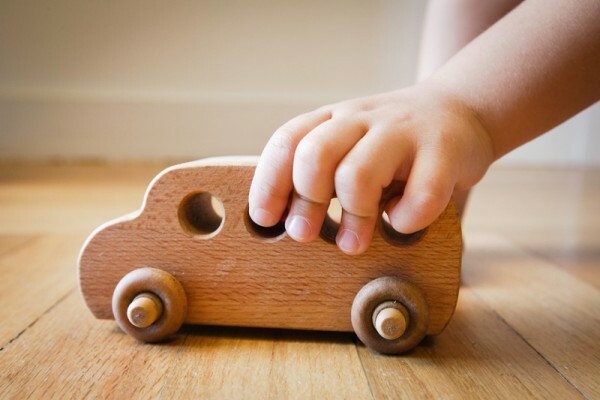 You and your child will spend many hours playing, rolling and reading on the nursery floor, so while it has to be comfortable and warm, make it environmentally friendly too. Natural carpet is the obvious choice when it comes to ticking those boxes, and Godfrey Hirst’s super soft eco+ range fits the bill perfectly. Incredibly, the carpet is partially made from the natural sugars that come from corn. The environmental benefits start with the manufacturing processes, because it’s made from a renewable source – a fibre called triexta, which can’t be penetrated by liquid. That’s definitely going to come in handy in a nursery! If you’re partial to a neutral colour, you don’t need to worry that the carpet will become dingy – just cold water is all that’s needed to get rid of any stains. LEDs and compact fluorescent lamps (CFLs) are the most energy efficient. Pendant ceiling lights are more energy efficient than downlights. Make sure you check the bulbs in your nursery lamp to make sure they’re energy efficient. Several companies now create stunning nursery furniture derived from renewable sources, and finished in ways that have a low-impact on the environment. Of course, if you’re keen to keep your enviro-footprint to a minimum, you can use vintage or second-hand pieces (although you will need to make sure cots comply with current safety standards). There are some fantastic eco-friendly mattresses available these days (including ones filled with tea tree flakes and coconut coir). When it comes to linen, you’re spoiled for choice, with options including organic and bamboo blankets and sheets, created using sustainable sources. Ensuring the nursery windows are well furnished means you’re using less energy to cool or heat the room. A set of heavy drapes or blinds gives you better temperature control and will ensure the heat is kept out or in, depending on the season. We are big fans of timber toys for babies and kids. They stand the test of time and have a beautiful sense of old world charm. These days, they’re being created with sustainability in mind. A simple check to see if the wooden toys you’re interested in are FSC certified will give you environmental peace of mind. Planning a gorgeous, warm and inviting nursery is such an exciting part of the pre-baby preparations. Just a few simple tweaks will ensure your child’s space is not only a safe and special place for them, but for the rest of the world.